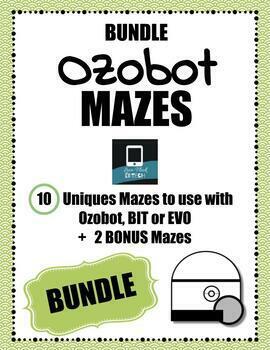 This download includes 10 different mazes that can be used with Ozobot (EVO or BIT). 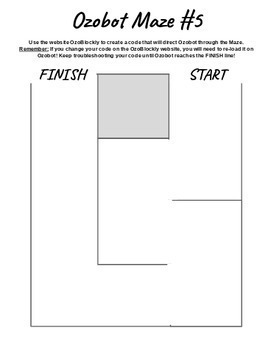 Students will create their code, using the website ozoblockly.com then test the code on the Ozobot maze. 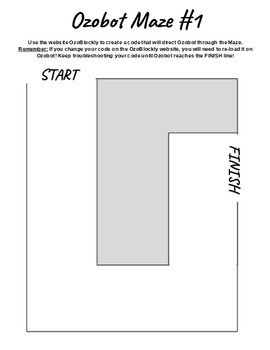 As students troubleshoot and change their codes on the website, they will need to re-load the code into the Ozobot. 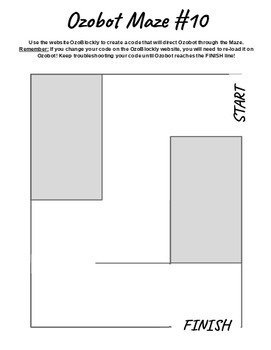 Have fun programming Ozobot to travel through all 5 of the mazes!